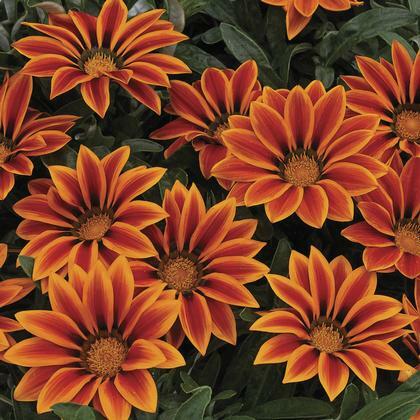 Single, daisy like flowers feature orange centers surrounded by a dark brown ring. Flowers are held on short, sturdy stems and are deep orange with bold yellow edges, creating a striped effect. Excellent for hot and dry areas.